Israeli Prime Minister Benjamin Netanyahu, enmeshed in a cabinet crisis, said on Monday he would call an early national election unless rebellious ministers stopped attacking government policies. The most potent of the rebels, centrist Finance Minister Yair Lapid, pushed back against Netanyahu’s ultimatum after the two held a late-night meeting. The conservative premier was “leading Israel to a needless election” because he preferred “his personal interest and survival over the public good,” Lapid said in a statement. Netanyahu’s coalition, dominated by the right-wing, is split on a range of issues, including the 2015 budget, high living costs, policy towards the Palestinians and a Jewish nation-state bill that critics say discriminates against Israel’s Arab minority. 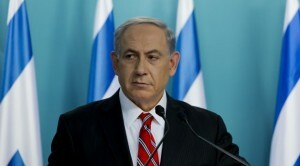 The divisions have prompted speculation that Netanyahu will bring forward an election that is not scheduled until 2017. In public remarks to members of his Likud party, Netanyahu gave his strongest indication yet that an early ballot could be in the offing. “I have not enjoyed the fulfillment of even the most fundamental obligation – the loyalty and responsibility of ministers to the government in which they serve,” he said. 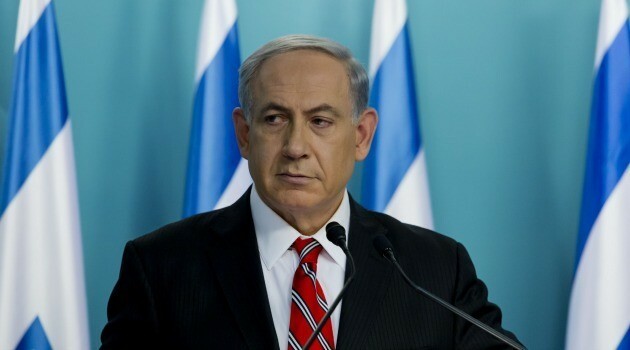 “I demand these ministers stop their undermining, stop the attacks,” Netanyahu added. Lapid, who has been sparring with the prime minister over the 2015 state budget, said he would not back down. Netanyahu was due to meet on Tuesday with Justice Minister Tzipi Livni, another centrist. She has been highly critical of the Jewish nation-state legislation, which won cabinet approval over her objections a week ago, but has not yet been brought before parliament. An opinion poll published by the left-leaning Haaretz newspaper on Sunday showed that although Netanyahu’s popularity was declining, he was still very likely to win a fourth term as prime minister if an election were held today. The poll showed Netanyahu’s approval rating had slipped to 35 percent, compared with 42 percent at the end of the July-August war against Hamas Islamists in the Gaza Strip, but he still led the race against other potential contenders. These include Foreign Minister Avigdor Lieberman and Economy Minister Naftali Bennett, who head far-right parties and came out to criticize Israel’s conduct of the war as too restrained – a possible spur to Netanyahu’s current hawkish posture. If an election were called, one casualty would likely be the 2015 state budget. Parliament last month gave initial approval to the 417 billion shekel ($107 billion) spending package. If there is no agreement and final parliamentary approval by the end of this year, the original 2014 budget, which excludes mid-year increases, will be used to allocate spending next year. The last parliamentary election was held in January 2013, with Netanyahu then taking two months to piece together a five-party coalition government.